(CNN) – Democrats pounced Wednesday on news from earlier this week about a Department of Justice investigation involving Republican Rep. Michael Grimm of Staten Island and possible campaign finance violations. The Democratic Congressional Campaign Committee, the group tasked with helping Democrats get elected to the House, described the allegations against Grimm, a former undercover FBI agent, as "the latest blow" to House Republicans. "It's long past time for Speaker John Boehner and Republican Leader Eric Cantor to finally follow their own zero tolerance policy, but instead they are making it clear that their zero tolerance pledge has zero credibility," the group's deputy executive director, Jesse Ferguson, said in the statement. The House Ethics Committee said Monday that the Justice Department asked it to put its inquiry on hold while the department conducted its own probe into the matter. The committee stated it was looking into whether Grimm solicited and accepted illegal campaign contributions and included false information in finance reports. It's also investigating whether Grimm "improperly sought assistance from a foreign national" in fundraising in exchange "for offering to use his official position to assist that individual in obtaining a green card." Ofer Biton, an Israeli businessman with close ties to Israeli Rabbi Yoshiyahu Yosef Pinto, was arrested in August by New York authorities on charges of immigration fraud. Biton was a top fundraiser for Grimm's first campaign. Since then, some of Grimm's donors have reportedly said that Biton helped them donate more money than legally permitted. They also said he helped funnel in money from foreign sources. Biton's arrest, however, was not related to the campaign finance allegations. Grimm's office did not immediately respond to a request for comment on Wednesday, though the first term congressman has stated in the media that authorities will ultimately find he committed no "wrongdoing." For his part, Boehner has not publicly commented on the allegations but took heat from some Democrats when he scheduled an appearance at a New York fundraiser for Grimm in October. The DCCC targeted Grimm this election by helping his Democratic opponent, but the group failed to help defeat Grimm, although they were able to oust two other New York Republicans Nan Hayworth and Ann Marie Buerkle. Earlier this year, the Office of Congressional Ethics, a nonpartisan body that reviews charges of misconduct by lawmakers, recommended that the House Ethics Committee dismiss the case against Grimm, who was re-elected to a second term earlier this month. The OCE said it could "not establish with a sufficient certainty that a violation occurred" after Grimm had taken office in January 2009. However, the Ethics Committee cited previous examples of other investigations involving lawmakers before they came to the House and decided to go ahead with their inquiry. - CNN Senior Congressional Producer Deirdre Walsh contributed to this report. They have to have someone to pick up since Jesse Jackson, Jr has admitted he is under investigation. The infighting shows how really petty both parties are. All they do, is look for ways to divide. The Democrats are especially divisive, intolerant, and uncompromising. Attorneys General should request an FBI and IRS investigation immediately. It's important for Democrats to avoid the witch hunt mentality of the Republicans. Taxpayers aren't paying the wages of the Congress for them to play games. If this guy broke the law let the Department of Justice handle the case. This is a time for Democrats to set the example and step away from foolish political games – like McCain's handling of the Benghazi crisis. everything sleezy lives and thrives in staten island. Even Brooklyn is gentrified and genteel compared to that ratty old dump we use to cross into NJ. No one even stops there. And mafia wives have punched a hole into the ozone layer over staten island with all that hairspray. so who needs it? I don't think this is the right approach for Democrats. For example, there was a demo ratio congressman who was guilty of violating the ethics rules this week. Neither party can claim the moral high ground because people from both parties are seduced by the strongest drug of all, greed! Grimm, a former undercover FBI agent. Why did he quit the FBI ? If the allegations are true , he needs to step down ! 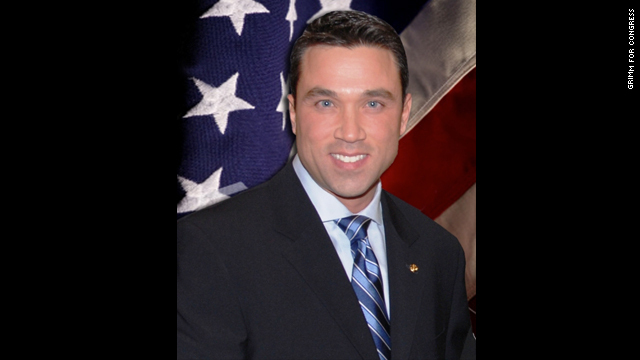 Michael Grimm needs to tell the truth . A goper tied to campaign fraud of any kind. Who would have thunk it!